Past – what experiences have led you to this point and this ambition? Present – why an MBA now, at this point in your career? Future – what do you want to do with your degree, in the short and long term? You also need to demonstrate an explicit understanding of your own personal leadership style – how you influence, motivate, sanction, inspire others to achieve, and so on – and the preferences that underpin your approach. In all leadership analysis, you should show respect for the difficulties of leadership. If you think leadership is easy, you have never really led. MBA Essay Length: We Can’t Go Over It. We Can’t Go Under It. Or Can We? 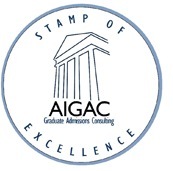 To answer this, it is essential, as always, to think about any process or task in admissions from the MBA admissions committee’s point of view. Put yourself in their shoes. Why do they ask for it? What are they trying to achieve? How does it help them? So, what is Adcom trying to do with word limits? First, if there were no limits applicants would ask incessantly: “Please Miss, how long must it be?” Second, some applicants would write the great American novel, which would waste their time and Adcom’s. Third, limits provide a way of getting essays from different applicants to be more directly comparable, in being the same length. But there is play in the system. The purpose of the essays is to get to know the applicant via their writing, and everyone knows that writing is a creative process and certainly nobody expects you to hit the word count on the nail. This is not engineering or accounting. (Believe it or not, some clients fuss the word count until they have the exact round number asked for, taking refuge in a detail that will provide them absolutely no refuge.) Anyway, application forms often talk about a word “guide” rather than word “limit.” So you can clearly go a bit over, but by how much? My advice to clients is not to go more than +5% in any essay. This kind of margin is a natural “rounding error” in finishing up what you have to say and will not hurt you if your reader is a reasonable person, which we assume she is. More than this will start to look like you are taking advantage and-or asking for an advantage that your competitors are not getting. However if you write a number of essays that are noticeably short it is fine to have one or two that are commensurately longer, so that the whole comes out more or less right. In fact, Stanford GSB has historically explicitly encourageed this giving guidance both per essay and for the essay set as a whole, inviting you to strategically trade off length between essays as you see fit. How well you do this is, by the way, is a test of your communications judgment. Having said all this, be aware that it is possible that the computer system will act as a policeman, stopping you from going over the limit, or cutting your text in mid-stream. I believe this this less prevalent now than it was in the early days of essay uploading. 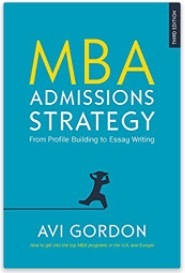 But admissions essays are relatively short pieces of writing, and you — if you merit a place at a top b-school — are a multifaceted individual with an significant track record, so if you can’t find things to say to take up the word count this in itself flags that you have not been able to (or haven’t bothered to) properly investigate your own motivations or fully argue your merits.